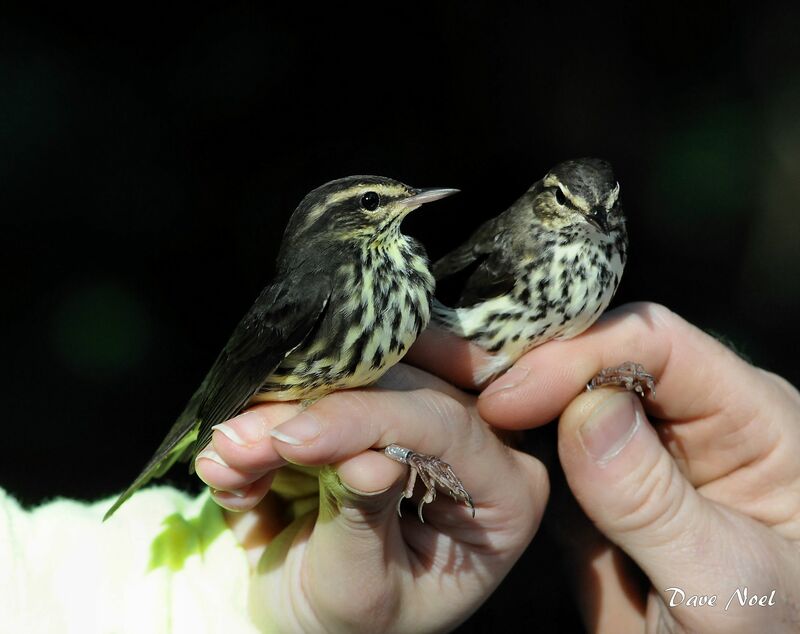 One of my favorite Dave Noel photos from the Fall banding season showing two very different plumages of the Northern Waterthrush. 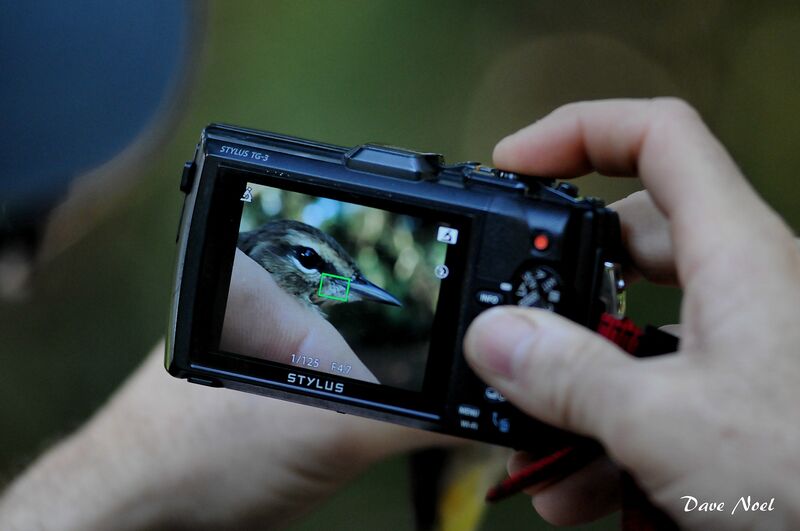 We finished off our Fall 2014 banding with a 16 bird day. 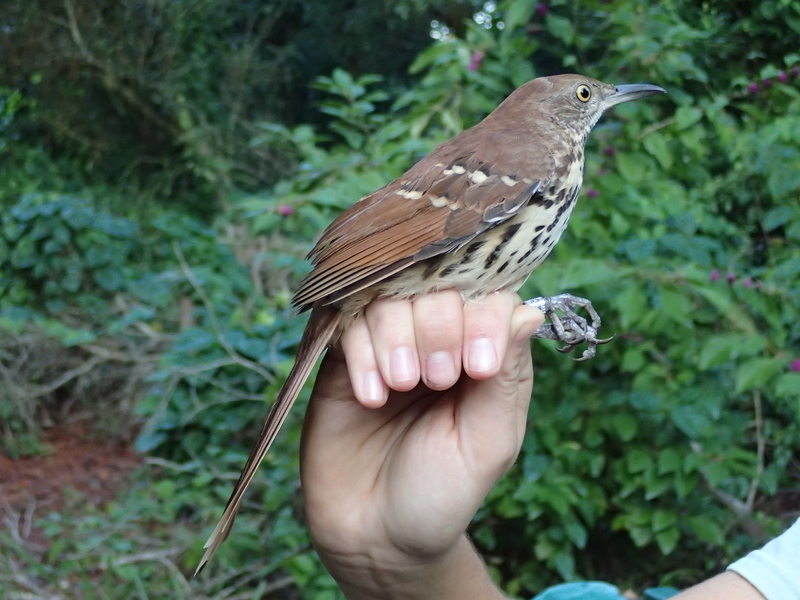 Not a ton of birds but we did catch a few special birds (several of which were new for the station). 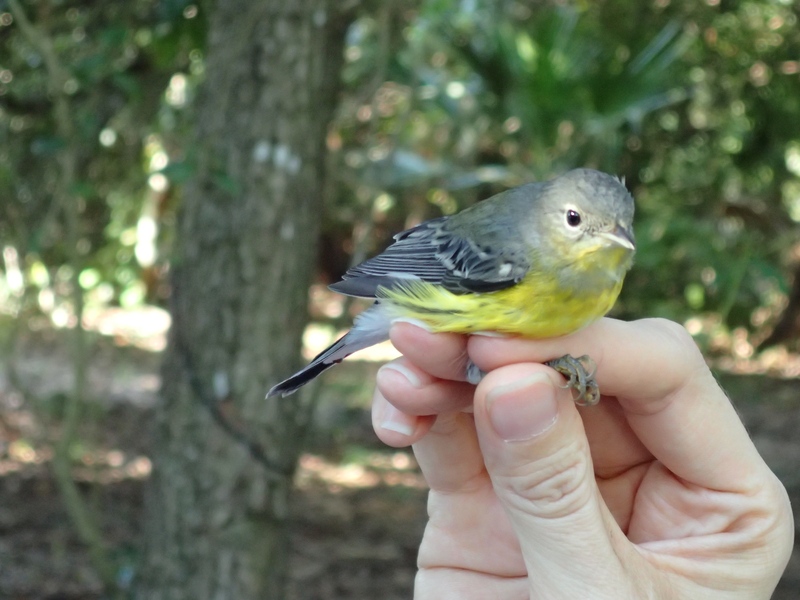 The highlights for me were catching 2 Magnolia Warblers and an Eastern Phoebe. 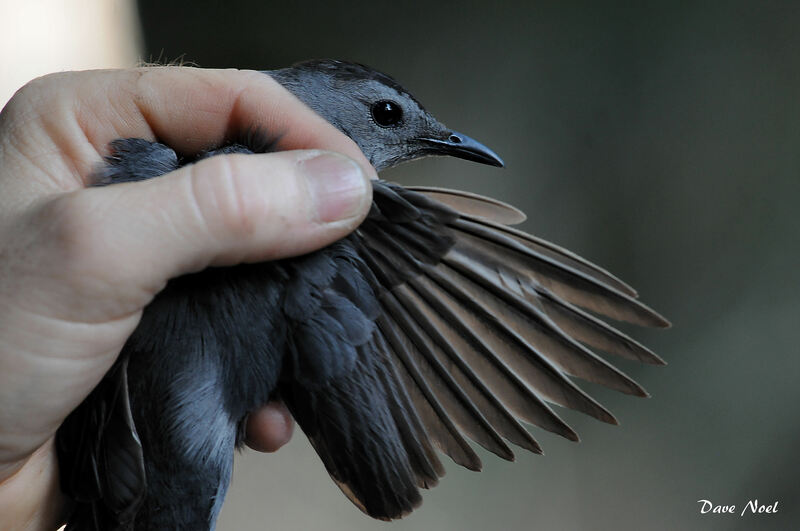 All in all, it was a pretty productive banding season. We had a lot of visitors and public education plus some really cool new birds. The other special new wrinkle we added this season was the canopy net built and donated by John Hood. I think it was the reason we were able to add Blackburnian Warbler to the station’s species list. With a bit more tweaking with the location and some practice setting it up I am hoping that we will catch some more cool birds in it next spring. Thank you to the volunteers for all their hard work. We continue to attract some skilled and enthusiastic volunteers which makes our project fun and interesting to be a part of. We appreciate all the moral support from the visitors and hope to see you all again next spring. 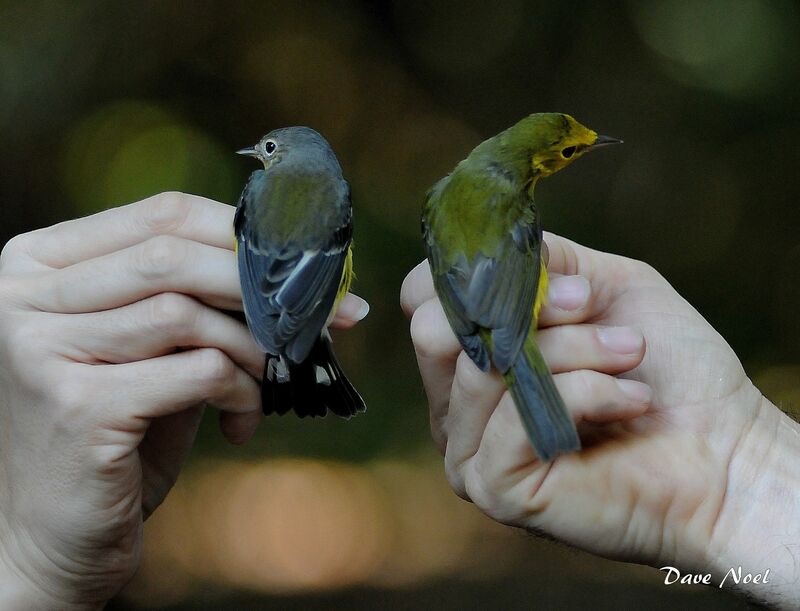 Nice comparison of the backs of the Northern Parula and Hooded warblers. 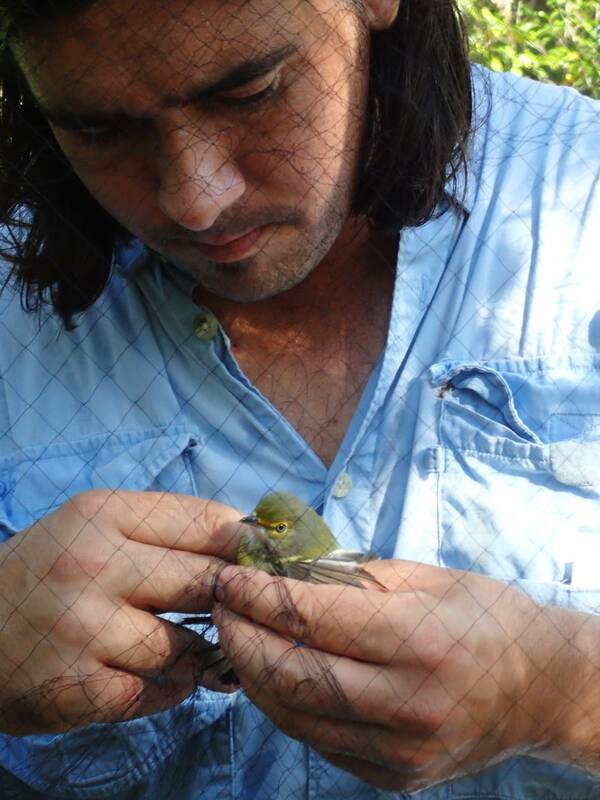 Volunteer Andrew Fuddy working to extract yet another White-eyed Vireo. A Magnolia in the hand is definitely worth more than two in the bush! A very cooperative Eastern Phoebe! 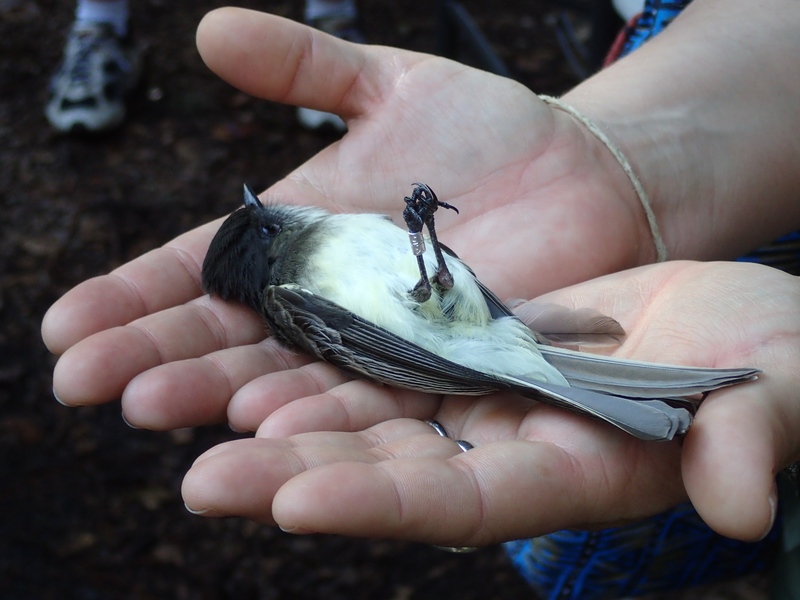 Our second to last day of banding was a bit of a bust. 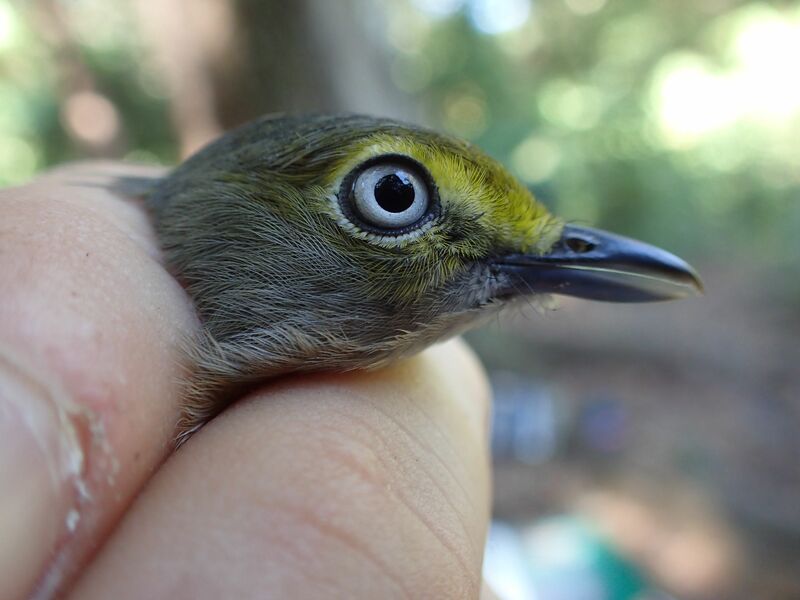 We only captured 2 white-eyed vireos, 3 Gray Catbirds and 1 Blue Jay and 1 Brown Thrasher. I guess at least we caught some migrants. 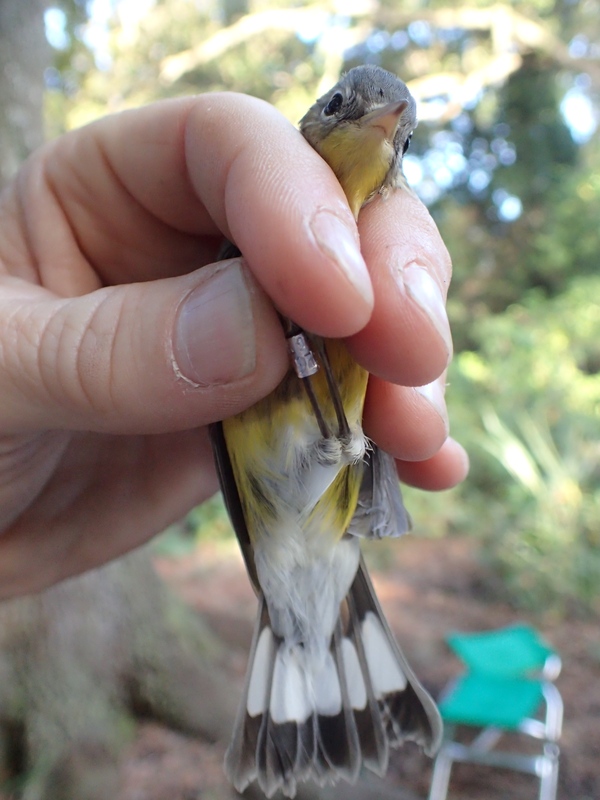 Hopefully, our last day of banding on October 19th will be a lot better!